LAKEVIEW and 3 ROOF TOPS to the Pool. 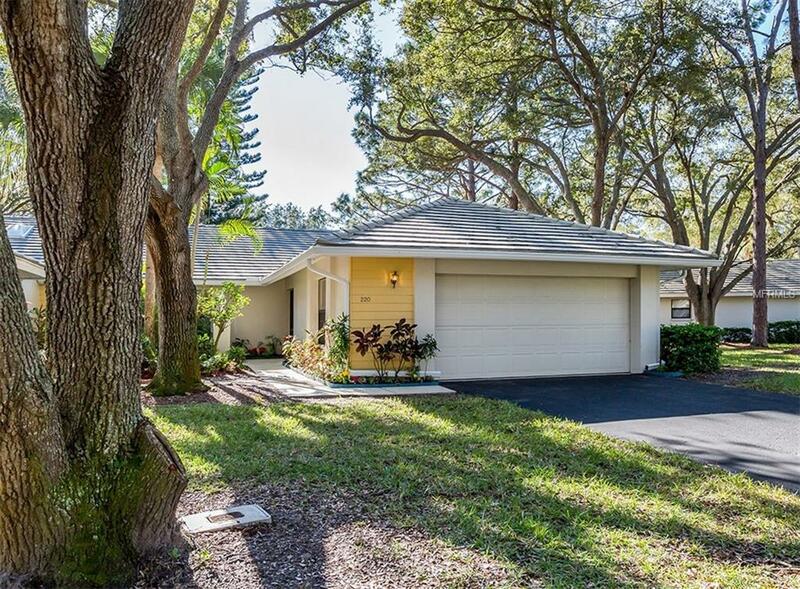 This 3BR/2BA Villa with a 2 Car Oversized Garage is well-situated on the CORNER of a quiet cul-de-sac nestled among majestic oak trees. 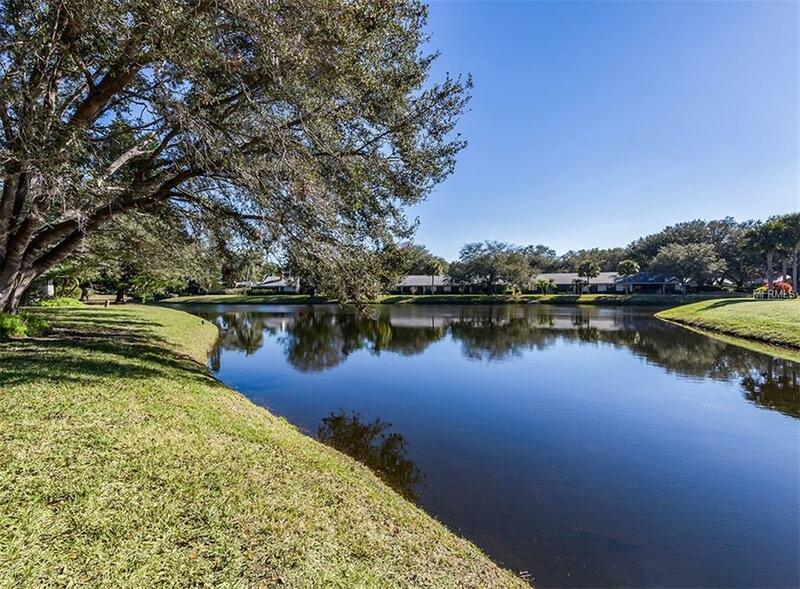 You will notice many towering oak trees, which provide a feeling of tranquility. 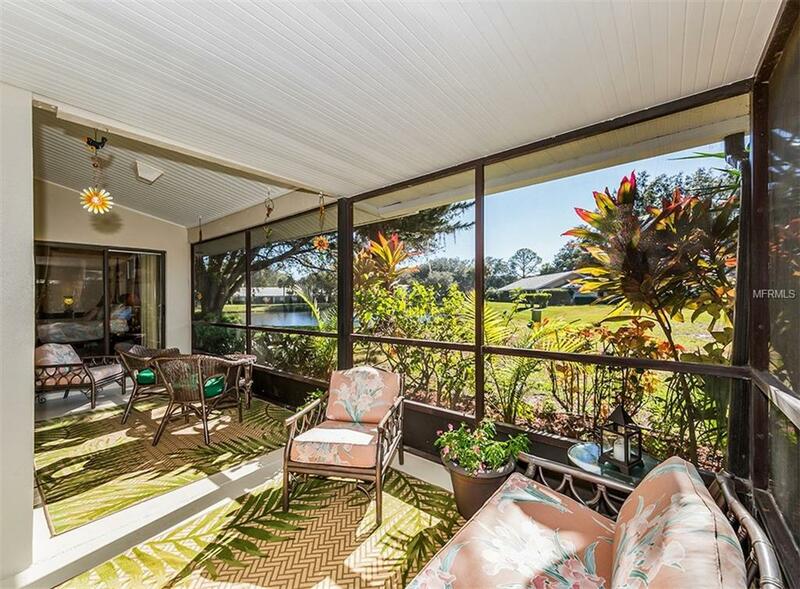 Step inside to a spacious living room with vaulted ceilings, ceiling fan, mirrored wall and neutral dcor. The dining room has a mirrored wall and is open to the living room. Kitchen is Light & Bright with white raised-panel cabinetry, pantry closet, lots of storage, a functional built-in desk, white appliances, and an eat-in breakfast area with a Beautiful View. The hallway features 2 closets and a skylight. The large master suite has a triple closet and convenient master bath with skylight for lots of natural light. The two guest bedrooms have double closets, ceiling fans and a full hall bathroom. 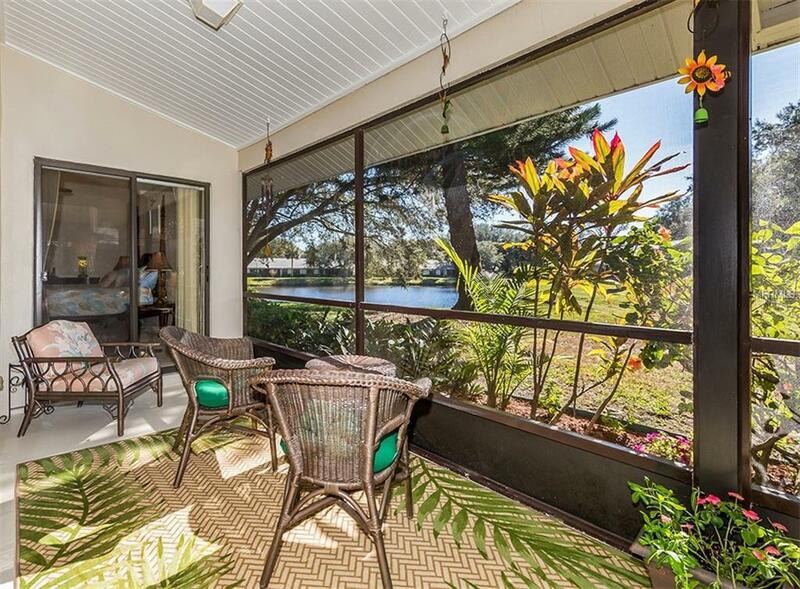 The rear screened lanai offers a Lovely Lake View with LOTS of green space and is accessible from the living room, kitchen, and master bedroom too! Separate Laundry Area. Great Location, Excellent Condition, Neutral Dcor, Newer Roof, Electrical Panel in 2018, Hot Water Heater 2018 and New Rain Gutters on the front. Short walk to the Community Clubhouse where you can join in with the active social gatherings and activities, or just relax and take a dip in the heated/cooling pool. Optional memberships to the Highly Rated Plantation Golf & Country Club are available for golf, tennis, swimming pool, dining and social.